Four women juggle busy careers and raucous kids in this intimate portrait of middle-class working mothers. Filmmaker Lauren Hollingsworth explores the impossible balance of work and motherhood in today's America, as seen through the eyes of a teacher, a real estate agent, a fashion executive and an actress. 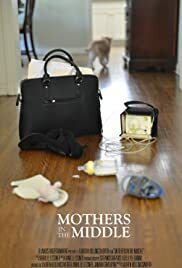 Told through the lens of the filmmaker's own journey, including heartfelt interviews with her own mother, the film raises questions about the sacrifices working women make in their careers and personal lives when children enter the equation.